October 1998 Ferrari Norme Generali Sicurezza E Igiene. 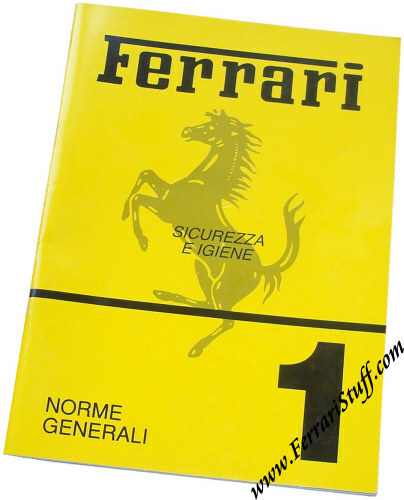 This is an original "Ferrari Internal" booklet with general rules regarding safety an hygiene which applied to all workers within Ferrari. It was issued in October 1998 and contains an extract of the most important rules in this field that workers had to adhere to. It deals with the handling of tools, screens but goes even into as much detail as on how to handle compressed air. 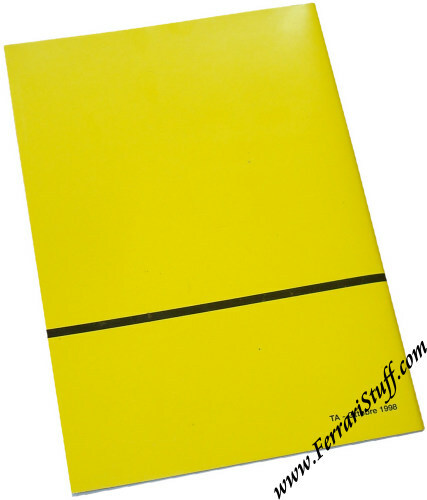 As this is a 100% internal document which was never intended to end up outside the Ferrari organization, it does not carry a print number but is marked "TA - Ottobre 1998" on the back cover. The booklet is DIN-A5 size (some 15 x 21 cm or 6 x 8 inches) and counts 45 pages. It appears to be be in unused condition. Such internal items are EXTREMELY rare and hardly ever come to market.